We are glad to announce that WaveEngine 1.4.2 (Dolphin) is out! This release is full of interesting and useful features. With TiledMap, develop 2D games in WaveEngine will not be the same anymore. Tiled maps have been used for a long time in games, now you can load and integrate TiledMap (.TMX) files, created by Tiled Map Editor (http://www.mapeditor.org/), the most popular map editor based in tiles. With Tiled, you can easily design your 2D map levels and run in WaveEngine like a charm. Local / Global position, rotation and scale properties. Apply 3D transforms to 2D entities. One of the major improvements in 2D games using Wave Engine is the new Camera 2D feature. With a Camera 2D, you can pan, zoom and rotate the display area of the 2D world. So now making a 2D game with a large scene is straightforward. Pan, zoom and rotate the camera 2D. Change the camera projection between orthogonal and perspective. We are glad to announce that WaveEngine 1.4 (Dolphin) is out! This is probably our biggest release until now, with a lot of new features. Alongside with the 1.4 Release of Wave Engine, we have published in our GitHub repository a new sample to show all the features included in this new version. 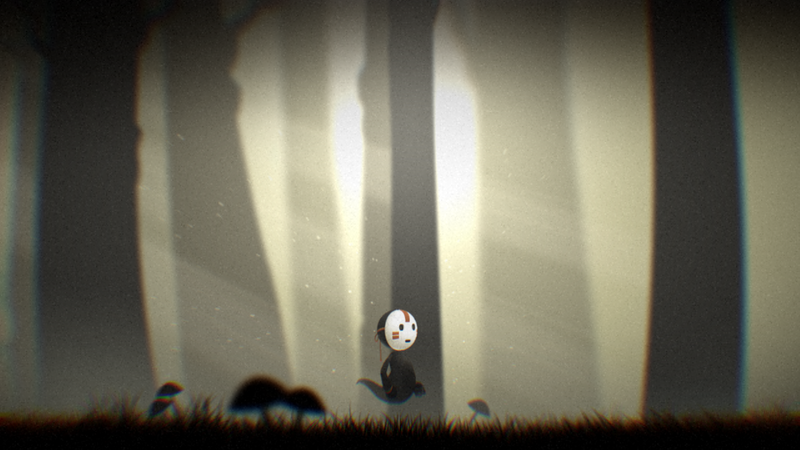 In this sample you play Yurei, a little ghost character that slides through a dense forest and a haunted house. The new Camera 2D is crucial to follow the little ghost across the way. Parallax scrolling effect done automatically with the Camera2D perspective projection. Animated 2D model using Spine model with FFD transforms. Image Effects to change the look and feel of the scene to make it scarier. Binary version for Windows PC, Here. This new library in WaveEngine comes with more than 20 image effects implemented as camera lenses. All lenses have been optimized to work in real time on mobile devices. To give easy access to new image effects lens, you will find all of them in the ImageEffects static class. With one line of code you can add one of these new lenses to the game camera (2D or 3D), multiple lenses is allowed for the same camera instance. Here is the complete source code of WaveEngine library.